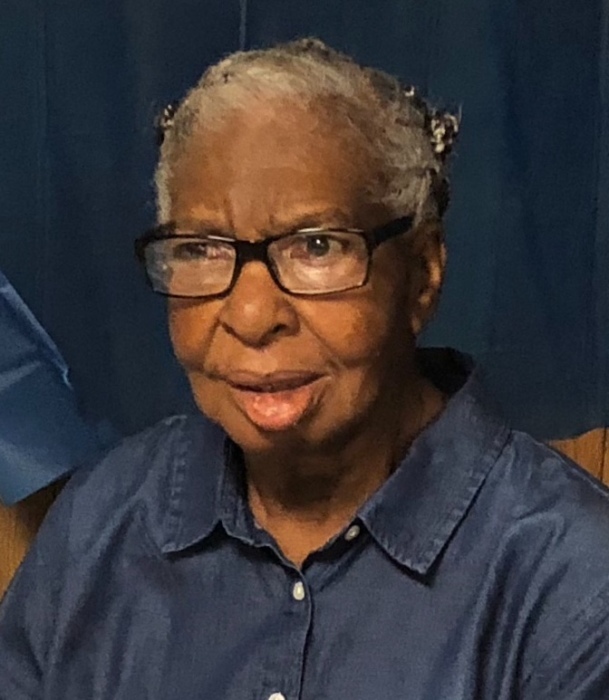 Obituary for Hilda Mae (Jones) Colbert | Jones Funeral Home, Inc.
Hilda Mae Jones Colbert, 80, a resident of Four Corners, LA and native of Weeks Island, LA, passed away peacefully at Iberia Medical Center at 7:50 pm on Friday, November 30, 2018. Visitation will be from 8:00 A.M. until 11:00 A.M., on Saturday December 8, 2018 at St. Peter The Apostle Catholic Church (Four Corners) 1325 Big Four Corners Rd. Franklin, La., with a rosary being recited at 10:00 A.M. A Mass of Christian Burial will follow at 11:00 A.M. with Fr. Francis Domoah, serving as the Celebrant. Burial will follow in the Sorrell Community Cemetery in Sorrell. She leaves to celebrate her life, one daughter, Claudia Brent of Four Corners, LA; three sisters, Boretha J. Pouncy of Houston, TX, Ella Mae Stacy of Sorrell, and Shirley Jones-Purvey (Robert) of Four Corners, LA; two grandchildren, Charles Brent, Jr. of New Iberia, LA and Crystal Jenkins (Timothy) of Four Corners, LA; five great grandchildren, and a host of nieces, nephews, other relatives and friends. Hilda was preceded in death by her parents, Ethon and Ella Jones; her husband Elijah Colbert; a daughter, Betty Yvonne Colbert; three sisters, Barbara McFarlin, Orena Benson, and Ethel Jolivette; and a great granddaughter, Angle Jenkins.